Free-roaming wireless power has been a dream of engineers since the days of Tesla and Edison waging their war of innovation but a number of technical hurdles have prevented it from becoming a reality. 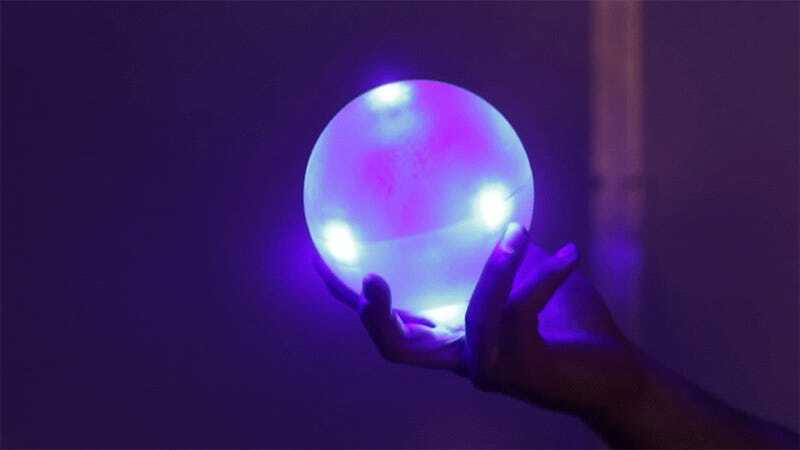 The folks at Disney Research have revealed that they’ve successfully built a method to provide full coverage of an average room and power all the devices one might need. In a paper published in the journal Plos One, the researchers describe their methodology for delivering around 1900 watts of energy around a room with an efficiency of 40 to 95 percent depending on the position. Describing how this works starts with the worst drawback of the system. The room needs to be specially built to provide the wireless power. That means the walls are made of aluminum panels and there’s a big, ugly copper pipe smack in the middle going from floor-to-ceiling. In the middle of the pole a section has been removed and 15 capacitors have been installed. This sets the resonant frequency and isolates electric fields that are being fed into the room from a signal generator outputting a tone at 1.32 MHz. Once the system is fired up, the room is blanketed in a magnetic field and a receiving coil that’s tuned to resonate at the same frequency powers the devices in the room. That 1900 watts of power we mentioned falls within federal guidelines for specific absorption rate (SAR), which is a measure of the energy a human body can absorb before it becomes dangerous. The thing is, the devices in the room need to be using that energy or it could become a hazard. Also, people shouldn’t stand closer than 46 centimeters to the pole. Those problems could be resolved with a more reactive system and some interior design. What’s important is a viable system has been tapped that could become as ubiquitous as wi-fi once the kinks are worked out. No more cord bundles cluttering up the room and no more worrying about a dead phone.